The Lash Sensational Mascara desifyies your lashes to give you 3X more volume. With the first caring serum with an eye catcher brush, the masacara creates natural, sensational lashes. Both of them are available in waterproof as well as washable versions. I have both of them in waterproof variant. Maybelline Lash Sensational Mascara comes in a curved pink tube which is very pretty and travel friendly as well. Both of them are same in height. 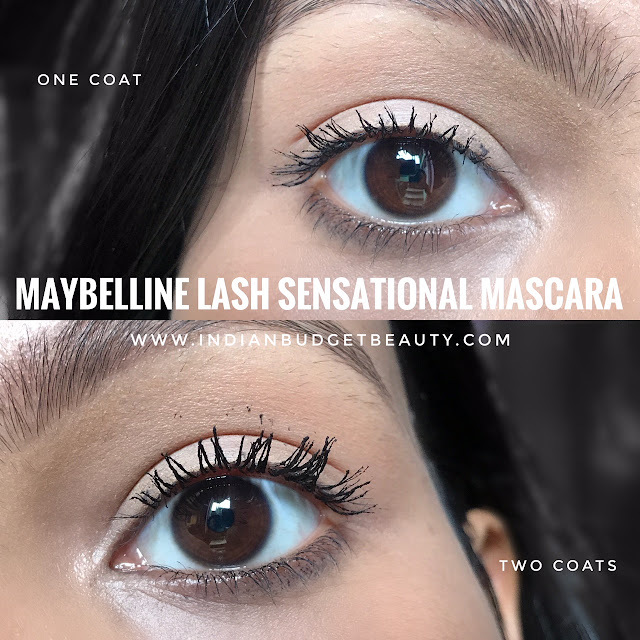 Maybelline Lash Sensational Mascara is a volumizing mascara with a special wand that gives a full fan effect and expands the lashes from the corner, which gives a glam effect. 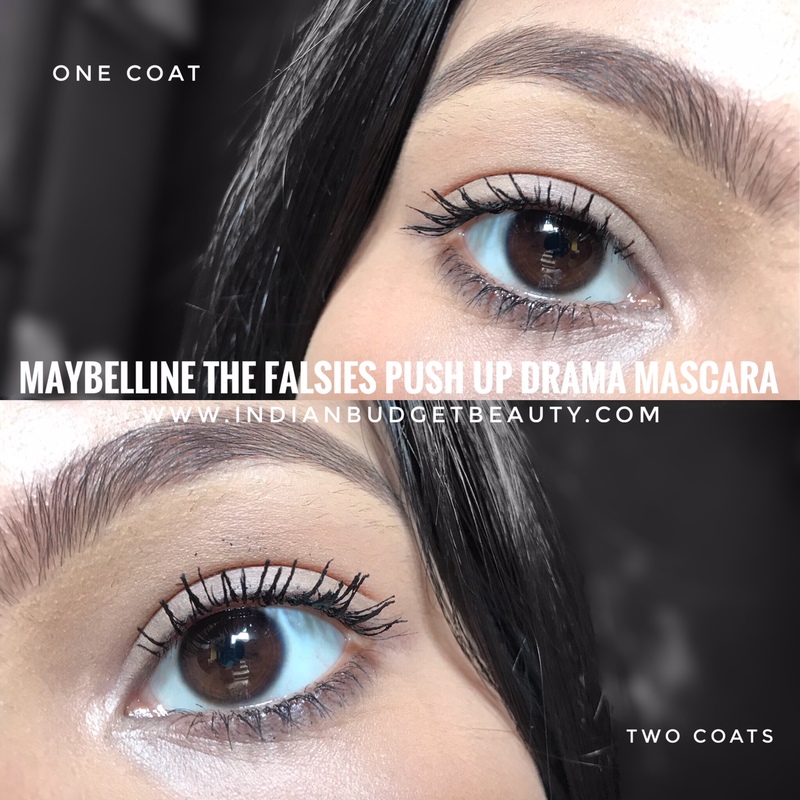 Maybelline The Falsies Push Up Drama Mascara is a lengthening mascara and seperates the lashes and gives them a plumping effect. Personally, I love the Lash Sensational Mascara more than The Falsies Push Up Drama Mascara. 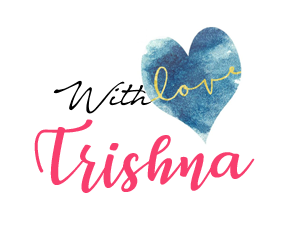 If you are in need of some glam without false lashes then you should definitely check out the Lash sensational mascara, and if you want some length and fresh face look, then you should go for the falsies push up drama mascara. Both of them are difficult to remove, so I suggest that you go for the washable version. Tip: I use Garnier Micellar Water + Vasline Petroleum Jelly for removing them.